Could you aid those with hearing loss? Home › News › Could you aid those with hearing loss? 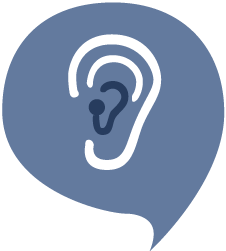 A quarter of a million people in Essex have some degree of hearing loss, nationally that amounts to one in six of the population. Hearing Help Essex exists to alleviate the isolation and loneliness that hearing loss can bring. Hearing Help Essex is a small charity with a team of loyal volunteers. They pride themselves on looking after their volunteers and like them all to feel part of a very special team. The charity have an annual volunteer update training day, as well as various optional ‘top-up’ training opportunities and coffee mornings throughout the year. Before you become a Hearing Help volunteer, you will need to attend a half -day training course, which will be followed by shadowing one of the organisation’s experienced volunteers at 2-3 sessions in the community. Hearing Help want their volunteers to feel completely happy and can arrange for you to shadow an experienced volunteer for as long as you need to feel confident.